Collection of concrete ground vehicle models. Namespace for the HMMWV vehicle model. 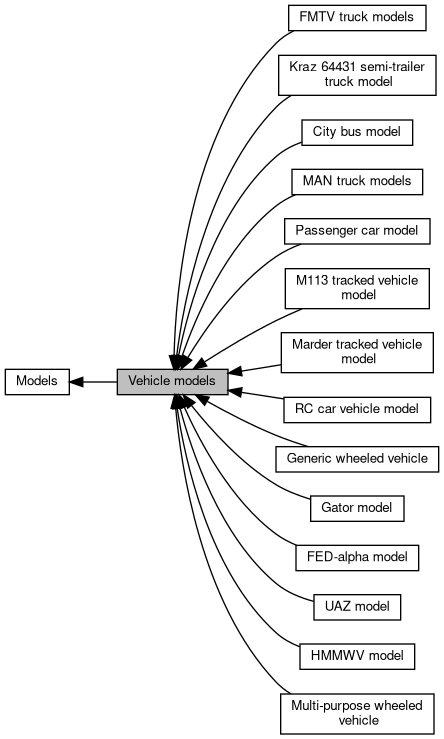 Namespace for the passenger vehicle model. Namespace for the UAZ vehicle model. Namespace for the generic wheeled vehicle model. Namespace for the M113 segmented track vehicle.